World over threat of active shootings has been increased many folds. In this type of attack, attacker come armed with automatic gun sometime with different sizes of guns and open fire on innocent public gatherings. It is noted that schools are easy target. Because schools have natural gathering of students. Attacker gets good media coverage and absolutely zero resistance from kids and teachers. This is new kind of threats to schools. World has good number of examples of such attack. 2007, Virginia Tech shooting: 23-year-old student, Seung-Hui Cho, killed thirty-two students and faculty members at Virginia Tech and wounded another seventeen students and faculty members in two separate attacks before committing suicide. The incident is the third-deadliest mass shooting by a single gunman in modern U.S. history. 2012, Sandy Hook Elementary School shooting: 20-year-old Adam Lanza, killed twenty-six people and himself. He first killed his mother at their shared home before taking her guns and driving to the school. Lanza brought four guns with him. He killed twenty first-grade children aged six and seven during the attack at school, along with six adults, including four teachers, the principal, and the school psychologist. Two other persons were injured. Lanza then killed himself as police arrived at the school. On 16 December 2014, six gunmen affiliated with the Tehrik-i-Taliban Pakistan (TTP) conducted a terrorist attack on the Army Public School in the northwestern Pakistani city of Peshawar. The militants, all of whom were foreign nationals, included one Chechen, three Arabs and two Afghans. They entered the school and opened fire on school staff and children, killing 149 people including 132 schoolchildren, ranging between eight and eighteen years of age making it the world's fourth deadliest school massacre. A rescue operation was launched by the Pakistan Army's Special Services Group (SSG) Special Forces, who killed all six terrorists and rescued 960 people. Though there is no major attack took place in schools of India but, in view of increased threat it can happen any day. The new sessions will start after Holi. We should keep ready ourselves to thwart such attack attempt if, made. 1. Cover windows on doors with hard iron sheets in schools. Install lock and bolt system in doors from inside. 2. School Disaster Management plans should be updated by school officials in the first month of academic year and be sent to respective Disaster management agencies for review. 4. All classroom doors must always remain locked. 5. Divide school campus in student area and visitor area. 7. School staff should hold a mandatory disaster management meeting to discuss all emergency response procedures the week before the school year starts. 8. Within the first two weeks of the school year, schools should practice evacuation drill. 9. All drill and emergency response information must be given to all stakeholders. 10. Adhoc teachers should have the same key access as regular teachers. 11. All staff and students should wear ID badges that include important emergency information on the back. 12. All visitors should have to enter the school front office/single point of entry and scan their IDs in a system supervised by trained school staff members. 13. 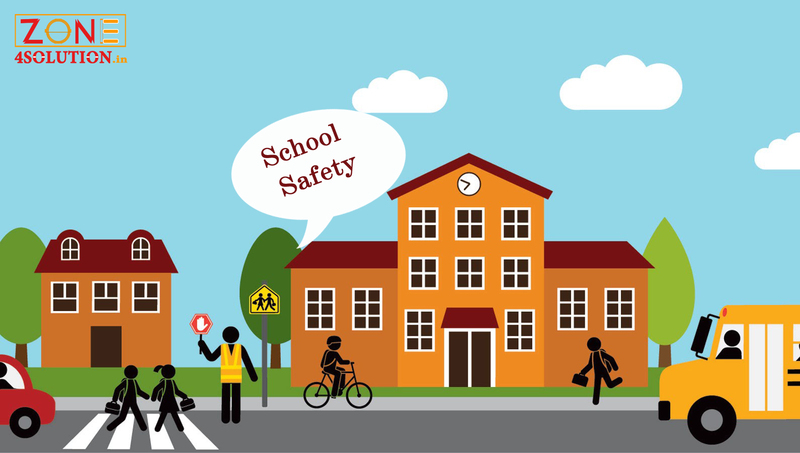 Implement meaningful back to school communication now and over the summer to keep all stakeholders informed regarding safety/security improvements. 14. The safety/security policy sheet should be distributed to parents either before but no later than at the start of school so that they can review the expectations and plans, in general. 15. Have transport evacuation drill regularly. 16. Now your transport crew but not share much information about students to transport crew. 17. Have a Disaster Risk Reduction expert on school Panel full time/part time. 18. Talk about school safety in PTM as you talk about academy . There’s no single formula of school safety that works for every campus, you can take help of experts for your campus. But these ideas are so easily achievable that officials should at least consider them for their facilities. As a disaster manager I wish happy and safe academic year. .